Rinse and pat dry swordfish. Place in a glass baking dish. In a large mixing bowl, whisk together white wine, soy sauce, mustard, ginger, garlic, sesame oil, olive oil and 4 tablespoons lemon juice. Pour sauce over fish, cover and refrigerate for 1 hour or overnight. 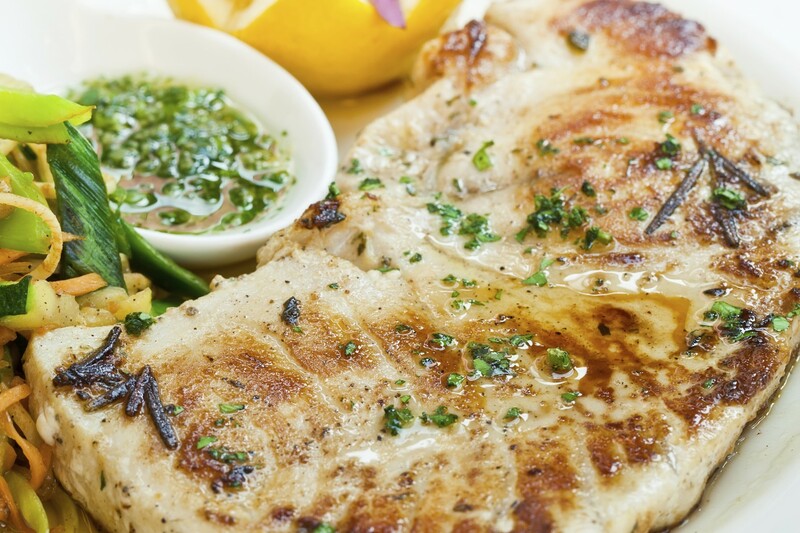 Remove swordfish from marinade and reserve marinade. Use a sharp knife to cut pockets into the sides of the swordfish steaks. In a large bowl, toss together rocket, tomato, 1/4 cup olive oil and 1/4 cup lemon juice. Stuff swordfish with rocket mixture and seal with small skewers or toothpicks. Place marinade in a small saucepan and cook over high heat until reduced by half. Heat the grill. Grill swordfish for 5 minutes on each side. Spoon reduced marinade over swordfish and serve.